Mastichari is the coastal village of Antimachia. 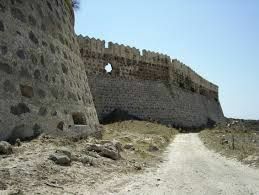 Mastichari is located on the west coast of the Island, 22 km west of Kos Town and it is the second port. It is a traditional village famous for its numerous fishermen who offer fresh fish at popular fish houses located only 20 two 30 meters from the beach.The beach, which is about 5 km long, is very popular and attracts thousands of tourists each year. Its clear blue water and white sand give it an exotic touch. You can also enjoy the most beautiful sunsets on the island. The place combines tranquility and serenity, intensity and fun. The village of Antimahia is set 4 kilometres back from the port at Mastichari. 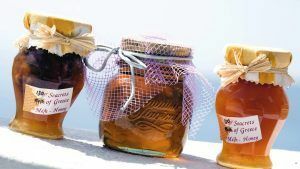 It’s famous for its honey and its handmade weavings, but there’s also layer upon layer of history – up to 3 centuries-worth – in the stone walls of the churches and traditional homesteads. A dirt track from the settlement wends for 4 kilometres to the ruins of a Medieval castle, which serves up great views over the island. 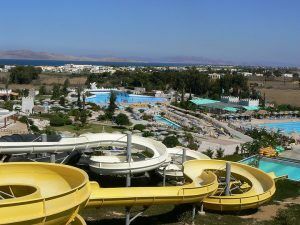 Mastichari is around 10 minutes’ drive from one of the largest water parks in the Aegean. Lido Water Park packs in a massive wave pool and a lazy river, plus tonnes of go-faster slides. The list includes the Black Hole, the Kamikaze, and the Spacebowl. There’s a stack of restaurants and snack bars, plus sunbeds with parasols, when you’re ready to get your breath back. 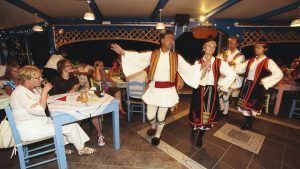 Clubs don’t make it onto Mastichari’s night-time schedule, though that’s not to say this place doesn’t kick up its heels – as you’ll discover when you find yourself dancing along with the locals at one of the taverna’s Greek nights. Meanwhile, the friendly café-bars are a dab hand at cocktails. As for closing time, that’s pretty much down to when the last customer is ready to leave. The weeny church of Aghios Ioannis Theologos(an early Christian Basilica with beautiful mosaic floor) perches like an eagle’s nest high above the rocky south-west coast. 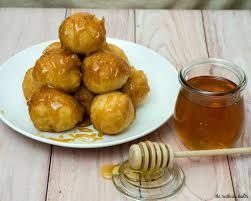 It’s named after the saint, Aghios Ioannis, who’s honoured on 29th August with a feast in Mastichari. Both locals and visitors head to the beach and party like it’s going out of fashion. Windsurfing and kiteboarding are popular sports on the beach here, and there are really friendly instructors at the surf school at the far end of the sands. 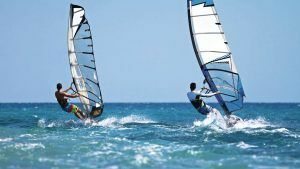 They wiil get you started with a 4-hour windsurfing course, or sign up for 5 days to get free use of all the equipment. Mornings are best for novices, while the breezier afternoons are great for the more experienced.The extensive beach exceeds in length of 5 km is very organized and popular. The beautiful sands visit each year thousands of tourists.The clear blue waters and white sand along the beach, the island’s beautiful sunset creates the vacationers feel of an exotic island. The “Hippocrates Garden” Cultural Centre has its home in Mastichari. It’s dedicated to Hippocrates, the big daddy of modern medicine, and replicates a 5th-century BC Greek settlement. There’s a 2-storey house made of local stone, a theatre, and a Philosopher’s Arcade dolled up to the nines with handmade mosaics and frescoes. Its library houses works by ancient Greek philosophers, plus bits and pieces from more modern times. 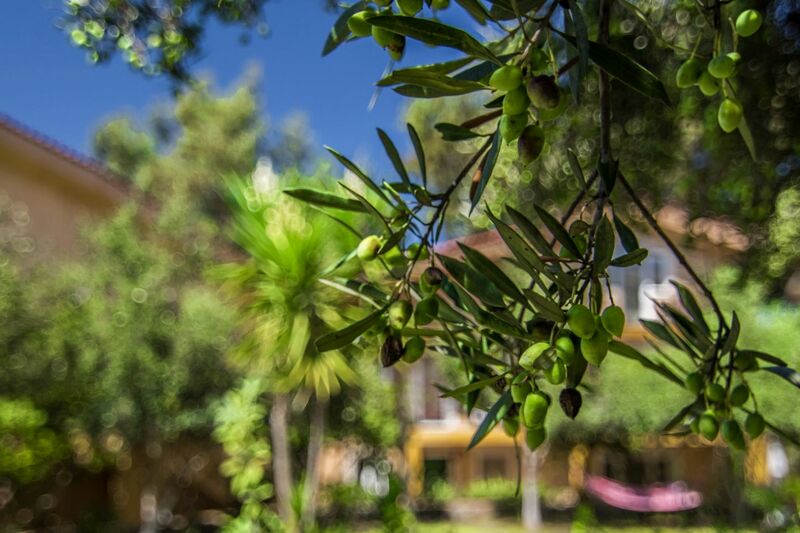 The whole place is circled by a fragrant garden of herbs and cedar trees. Fishermen’s boats pulling into the harbour are a daily sight in Mastichari. 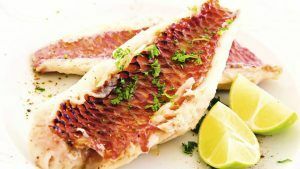 And you can catch up with their haul at the village’s friendly tavernas, where red mullet, squid, sea bream and little symiaki shrimps are all freshly served. Many holidaymakers like to settle into one of the seafront tavernas to get the best view of the sunset while they tuck into octopus fritters or crispy fried whitebait. 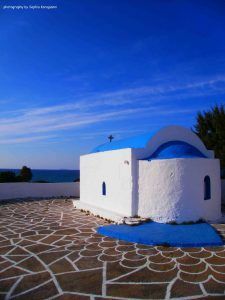 Mastichari makes a great base for visiting other Dodecanese islands. Hydrofoils and ferries drop anchor here to offer passage to the likes of Patmos in the north, with pit stops right down to southerly Rhodes. The closest neighbour is Kalymnos, 20 minutes away, where sheltered coves and green valleys are crisscrossed by mule trails. Most of all, though, its limestone cliffs attract serious climbers like moths to a flame. It is famous as the island of sponge divers, due to its long tradition in this job. it is the favorite destination for the lovers of diving and fish gun. 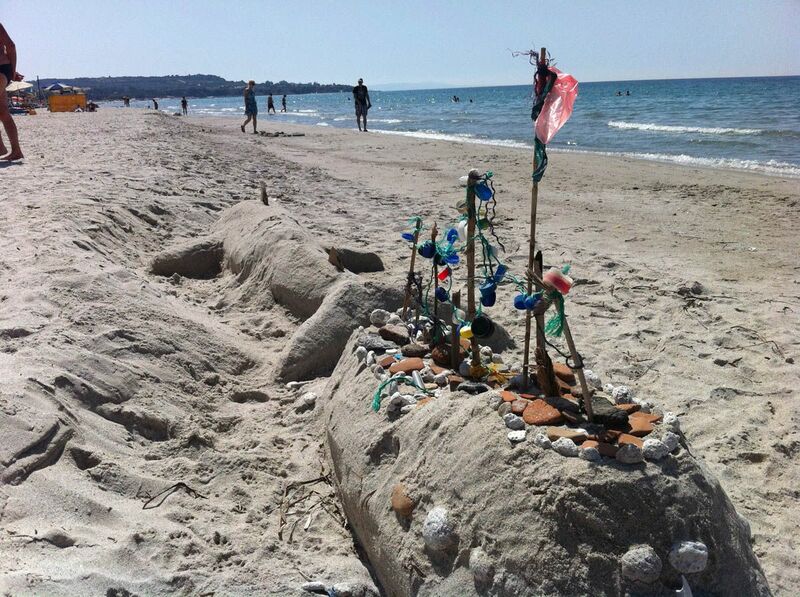 While its beautiful beaches with clear shores and crystal waters relax visitors.